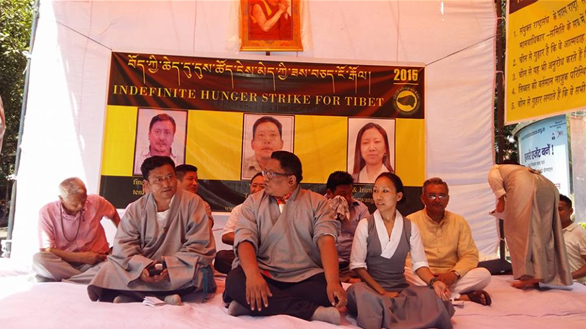 The Tibetan Youth Congress has today launched an indefinite hunger strike in protest at China’s oppression of Tibet and to demand action from the United Nations. 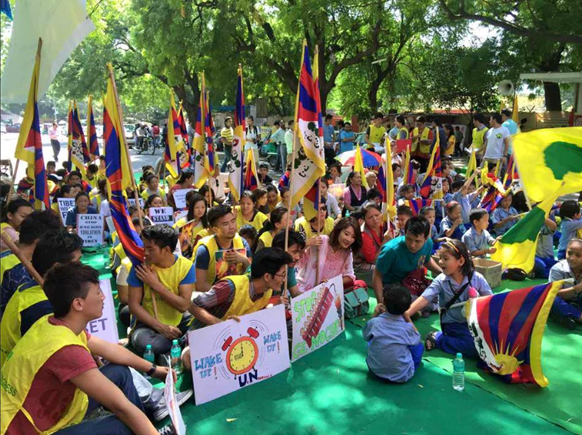 Three of its Executives, Tenzin Wangchuk, Tamding Hrichoe and Ms Tsewang Dolma are staging their action at at Jantar Mantar in Delhi the capital of India. Subscribers to our Blog may recall similar demands made by courageous Tibetans to the United Nations, including a hunger-strike outside the very doors of the UN’s New York headquarters. That protest resulted in a number of assurances being made by officials to Tibetans, although the follow-up and subsequent action was woefully absent. it is hoped that the Tibetan Youth Congress will be as determined as ever to ensure that any assurances offered by UN officials are not simply empty gestures.